Oh my. It has been a while since I’ve posted anything here (the refrain of anyone who maintains a blog). Sooo… if you read the last post here you’ll have a bit of my recent history already, but that has evolved a bit since. 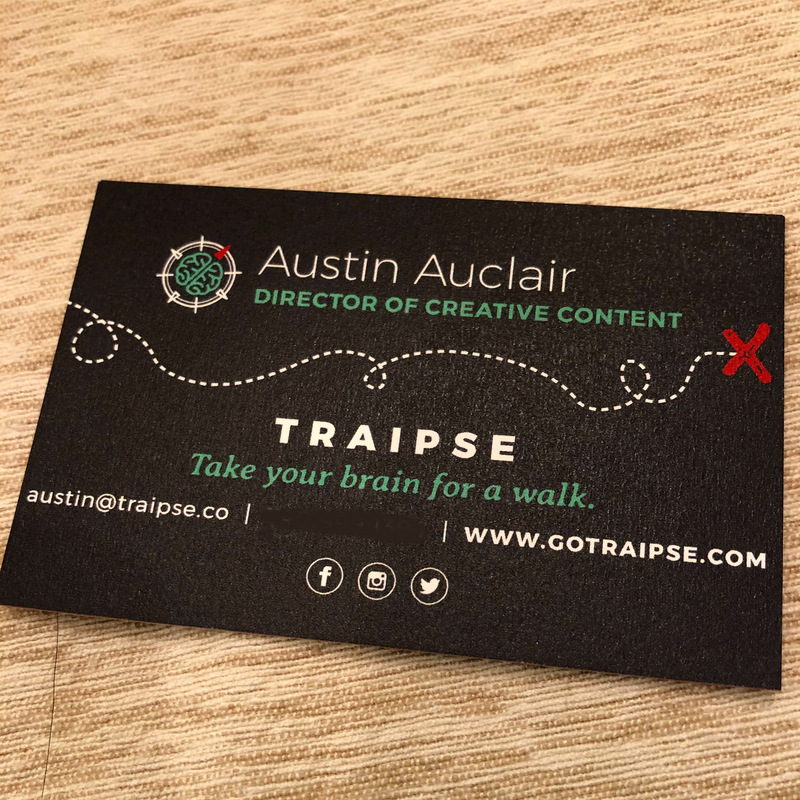 In November I left my career of 16+ years to go work full time at Traipse as Director of Creative Content. A dream job! For quite some time after being hired I struggled to explain to people I met at parties what I now do for a living. I write grants, build real-life treasure hunts and scavenger hunts and gamified walking tours, build marketing campaigns, and about a bajillion other duties-as-assigned. The problem persisted until one party where an (actual) video game designer said to me, “hey, so, you’re a game designer!” I about gave him a bear hug on the spot. Beyond all the cool stuff we do normally at Traipse I’ve got one really big, secret project in the works which is dominating most of my free time. It involves crafting some serious physical puzzles and building a fictional narrative around them, all of which is an absolute delight, but when you’re doing this sort of this for work and not for just for fun, the stakes are so much higher. I’m still playing video games when my brain is too dead for puzzle-making, most of which have been fantastic, but those have been more Twitter-fare than 1,000+ word-blog-post-worthy. It’s strange and slightly disappointing that I haven’t actually been checking out many other interactive experiences as of late. Until the other day I hadn’t found a geocache in four months! It seems that when you go work for a geolocation gaming company it kinda pushes other experiences to the side. Silent Streets just released their second episode with an upgraded augmented reality system. I was so-so on the first chapter and I’m curious about this big update. The annual geocaching festival GeoWoodstock in May has grown to a record-breaking “Giga” size which has major significance in the geocaching world. My boss loaned me the doorstop-sized book House of Leaves which is revolutionary in structure and design– slowly making my way at bedtime each night. I upgraded my phone to an iPhone 8 (the benefit of working for a tech company is that I can write it off on my taxes!) and I can now check out the flood of augmented reality experiences coming to market. Just launched a biweekly D&D campaign with my pals using the Curse of Strahd module. I’ve been listening to a number of escape room themed-podcasts (Escape This Podcast is a very cool) and it reminds me that there are a ton of them around where I live and I need to go play more. One of my successes at my old job was that I had needled one of my former bosses into starting monthly, official field trips where the whole department would go an art museum, a botanic garden exhibit, or some other creatively constructed project. In my time there I had discovered that me and my coworkers’ creativity skyrocketed when we got out of the office and experienced something unusual together. My requirement for the whole thing was that it had to happen early enough in the day so that when we were finished we had time to sit down and talk to each other about what we saw. It’s something I need to remember to carry over into this new chapter in my life. While certain experiences may have nothing to do what I do each day, those active and diverse interests unlock hidden creative depths of my brain. It’s not enough to just experience them, however, I need to spend time reflecting on them as well and this little blog works well for that. Augmented Reality IKEA saves only some of your sanity.